Get total peace of mind when you buy any new eligible Suzuki* from July 1, 2013, knowing your Scheduled Maintenance Service Costs are capped for up to 5 years. Right from the get go you’ll have the low price of one log book service to the next. It’s just another benefit of the Suzuki Capped Price Service. For 5 years / 100,000km your Scheduled Maintenance Service Costs are capped, to give you peace of mind. Factory-backed servicing is competitively priced to give you more savings. Our factory-trained technicians undertake all service work using the latest Suzuki diagnostic equipment. 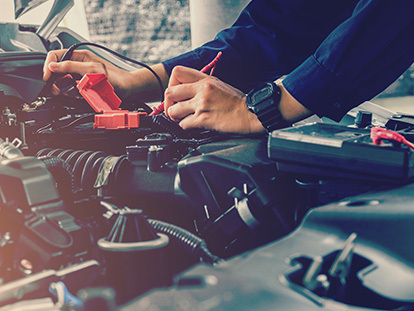 Our vehicles are made with high quality parts to enhance your vehicle’s long-term reliability, safety and re-sale value. Your vehicle’s factory software can only be updated by your Suzuki Dealer. Every vehicle is eligible for the new 5 year / 140,000km Extended Warranty*. *Your vehicle must have had all standard scheduled services undertaken by authorised Suzuki Dealers as specified under the ‘Maintenance for Normal Operating Conditions’ schedule detailed in the Warranty and Service logbook, up to 40 months from the date of vehicle delivery, to be eligible for the 5 year / 140,000km Extended Warranty. Click here for full list of terms and conditions.